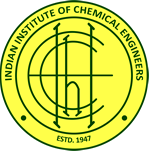 Indian Institute of Chemical Engineers is a confluence of streams of professionals from academia, research institute and industry. It provides a wide range of opportunities for development and advancement of chemical engineering sciences and its applications. The Student Chapter of IIChE at SASTRA University was inaugurated in January 2011. It has conducted two National symposiums named PRAKRIYA which involved guest lectures, debates and events on industry defined problems. CAPE(Conference on Advances in Process Engineering) is the annual event of the SASTRA University student chapter of the Indian Institute of Chemical Engineers (IIChE). This conference is an interdisciplinary forum for eminent researchers and engineers to discuss their ideas on emerging issues in process engineering.